MOSFET: When can we not assume that the gate current is 0? A common rule of thumb you hear when learning Electrical Engineering is that the gate current of a MOSFET is always approximately 0. When is it not safe to assume that it is 0? Under transient conditions, the gate current will be non-zero since you need to charge (or discharge) the gate capacitance and this requires current. 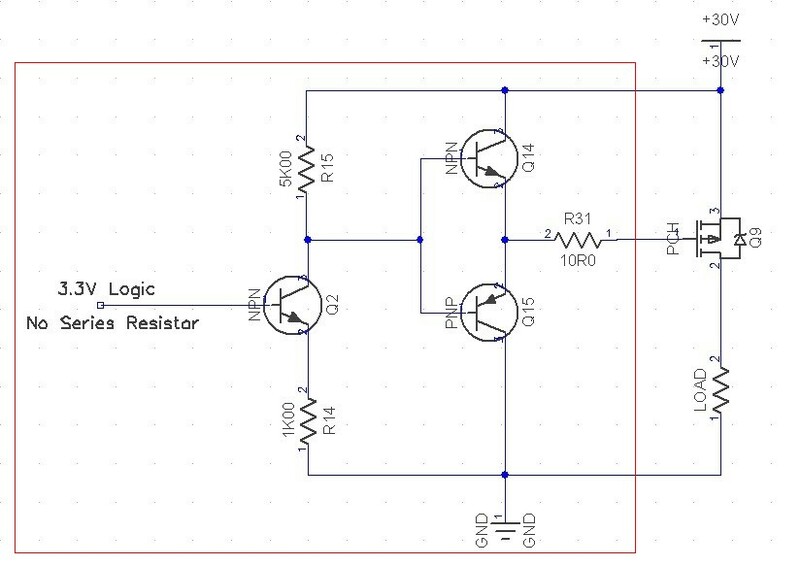 The larger the gate current, the faster the gate voltage changes and the faster the device switches. Once the switch transition is completed, then the gate current approaches zero (and is mostly the leakage current). For low switching (PWM) frequencies, the rms gate current will be low. Higher switching frequencies will increase the rms current. The most important exception is usually not static leakage but when charging or discharging the gate capacitance to turn it on or off. Gate currents of around 0.1 to 1 amp are typically required to charge and discharge the gate capacitance in usefully fast times. Too fast leads to extra losses. Too slow leads to FET being in active resistive state between off and hard on and dissipating very substantial amounts of energy relative to what can be achieved with proper design. 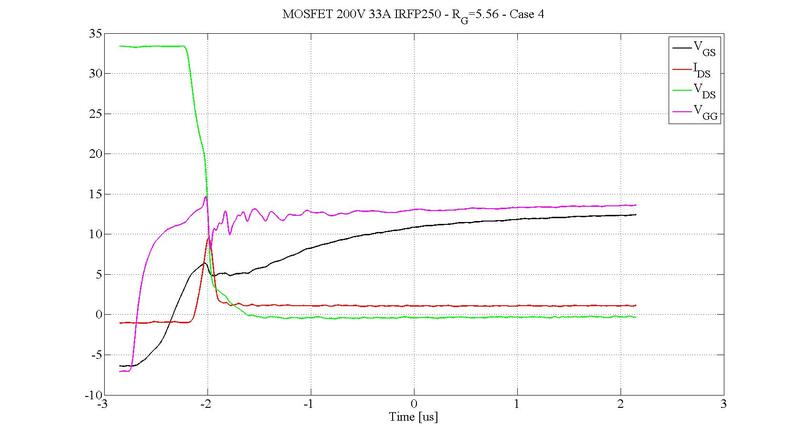 This is why gate drivers are required and why you cannot just drive a MOSFET gate at high frequencies from a microcontroller pin typically able to deliver 1 to 30 mA, even when voltage requirements are well met. It is often not appreciated that a MOSFET being switched at 10 kHz plus may need gate drive currents on the 0.1A - 1A range to achieve adequate switching times - depending somewhat on application. At many 10's of kHz gate drive at the higher end of the range would be common. 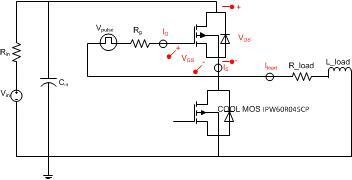 MOSFET datasheets specify gate charge and gate capacitance. Capacitances are typically in the "few nanoFarad" range and gate charge is typically a few tens of nanocoulombs and input capacitance is typically a nanoFard or few. Using Digikeys parametric selector I just subset N Channel MOSFETS of 60-100 V Vds and 10-20 Amp Ids. That charge has to be "pumped" into and out of the gate capacitance. If you are PWMing at say 10 kHz then 1 cycle = 100 uS so you'd hope that switching times were a small fraction of that. If you want to charge or discharge a few nF to/from zero to typically 3V to 12V then having at least 100's of mA of drive is a necessity. 1 Coulomb = 1 amp.second so 10 nC requires 1 A mean for 0.01 uS or 0.1A mean for 0.1 uS. The horrendous outlier MOSFET above with 225 nC gate charge would take 0.225 uS to charg at 1A and 2.25 uS at 0.1A. The reason that this FET is so much worse than most is that i is "sepcial - it's a 100V 16A depletion mode device that is usually on with no gate voltage and requires negative gate voltage to turn it off. However, one can still be "caught out" by eg this 60V, 20A part with 100+ nC gate charge. This more normal 60V 14A part has 18 nC max gate charge. Drive it from a microcontroller port pin at 10 mA and it will take ! 1.8 uS to charge the gate capacitor - probably acceptable at 10 kHz and very bad at 100 kHz. With rise and fall switching times of 110 and 41 nS when 'properly driven' you'd want rather better than ~ 2 uS gate charge times to switch it anywhere near its upper limits. Source of this circuit not certain - via PICList member I think. Can check if anyone cares. Note hat this circuit is considerably more "clever" than may be apparent. (Olin is fond of the input arrangement used here). The ~= 3V swing across R14 causes an about 15V swing about R15 so Q14/Q15 bases swing from +30V to about +15V, providing ~ 15V if high side gate drove to the P Channel MOSFET. Check the datasheet. For this MOSFET they specify a gate to source leakage current of maximum 100nA. If you're driving the FET from an opamp, for example, you can probably ignore that. If you're using some static voltage with a very low charge the 100nA may be too much. It all depends on your application, but in most cases this static current will be negligible. Switching on and off will cause a much larger current peak to charge and discharge the gate's capacitance. Here are some waveforms that indicate some of the transient natures of a large MOSFET. The gate current gets high during switching and may have caused a dip in the gate drive voltage here. (black line) . I think this generalization comes from comparing a MOSFET to a BJT in terms of an idealized amplification application. "A BJT is a current-controlled device (base current controlling collector current, base voltage clamped to a PN forward drop) whereas a MOSFET is a transconductance device (base current is negligible, base voltage controls collector current)", as the teacher says. When you're talking about "steady-state" amplifiers (no hard switching or large swings in biasing) the assumption of 'zero base current' holds true enough to allow you to do meaningful work. When you introduce high-frequency hard switching, as others have pointed out the inherent capacitances of the MOSFET dominate the behaviour (i.e. the base current drawn is a function of charging and discharging the gate capacitance) so the 'zero current' assumption is invalidated. Not the answer you're looking for? Browse other questions tagged current mosfet or ask your own question. MOSFET Switch - Not Turning Fully Off? Does MOSFET switching gate drive current depend on supply voltage? What is amount of current required for p-mosfet when load is not applied?